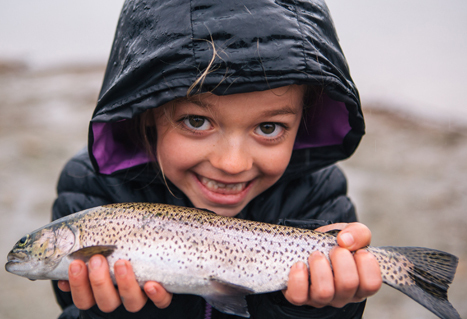 In this 3 hour session you’ll learn the basics of freshwater fishing including: hatchery roles, fish identification, tackle, rod rigging, casting, and hands-on fishing. Important! Please ensure you arrive on time as the introductory information on fishing techniques and ethics are important to your participation in the hands-on fishing portion. We reserve the right to deny entry to those arriving after the program has started. Thank you to our sponsors: Habitat Conservation Trust Foundation, Luhr Jensen, BC Ram Dealers, and Yamaha Motor Canada.